COZY ON UP next to your TV set tonight. 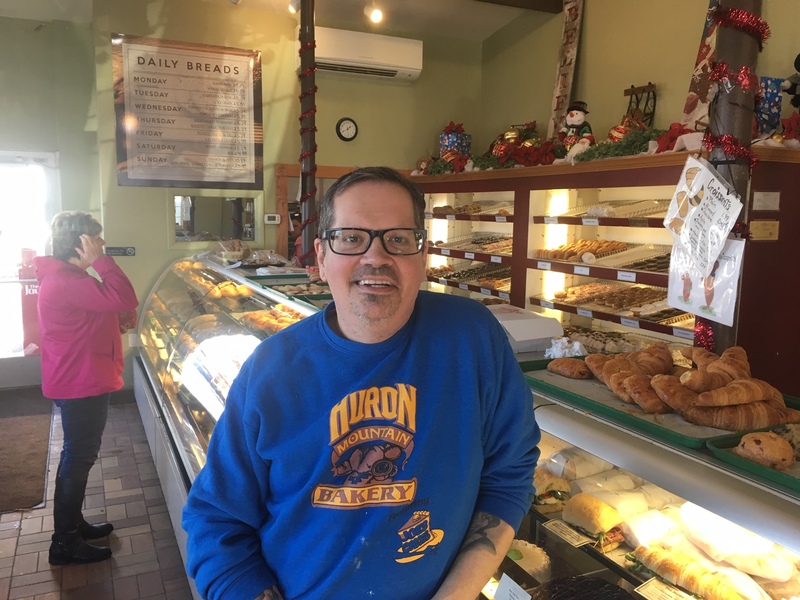 “Winner Cake All,” the Food Network’s cake-making challenge, featuring local bakers Joe Heck (Huron Mountain Bakery) and MaryBeth Kurtz (Midtown Bakery), is on at 10 pm. Better yet, if you’re able to, head over to the Negaunee Eagles Club (311 Iron Street) where Joe and MaryBeth will be joining others for a viewing party. Food, drink, cupcakes, and fun. A previously planned second viewing party at Digs fell through. But, of course, the focus will be on the show itself, where the two locals take on three other highly regarded cake-making teams from around the country. During the hourlong program, one of the four teams will be eliminated during a first competition, and then the remaining three will design, bake, and decorate a cake while the TV cameras watch and listen. The episode was shot a few months ago but none of the competitors are allowed to say how it turned out.